High durability and excellent demolition performance. Electronic speed control for maximum performance. LED lamp indicates when to replace carbon brush. LED lamp is provided as a pilot lamp. 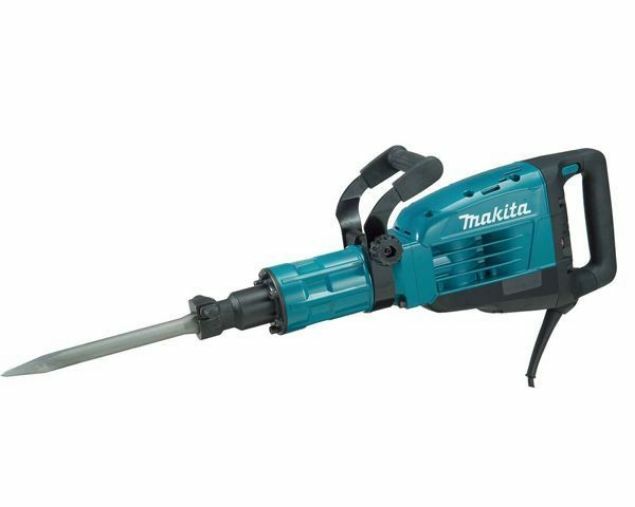 Double Insulation, Variable Speed, HEX Shank, Constant Speed, Soft Start and Carry Case. Tool sold without bit. Highest-in-class demolition power with AVT (Anti-Vibration Technology). 72.8 Joules. - Counter weight mechanism and vibration absorbing housing helps to reduce vibration. - Soft start for suppressing start-up reaction. - Soft grip provides more control and less hand fatigue. - Newly developed dust extraction attachment is available. - Double Insulation, Anti-Vibration Technology, HEX Shank and Soft Start. Tool sold without bit. 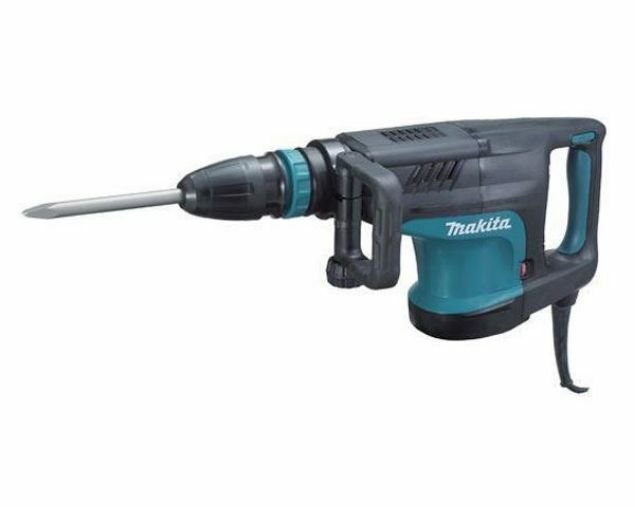 High performance and low vibration (With vibration absorbing grip) 2 operation modes - hammering with rotation and hammering only. AVT (Anti-Vibration Technology) Active Dynamic Vibration Absorber ensures extra-low vibration performance. The level of vibration is further reduced by separating the machine holding section from the motor / transmission section Soft no load function automatically reduces the motor speed during idling to supress the vibration of the machine body New "Two on / off switches switchable in hammering mode". Easy to operate operation mode change lever. Double Insulation, Anti-Vibration Technology, SDS Max, Torque Limiter, Constant Speed, Soft Start and Carry Case. Tool sold without bit. 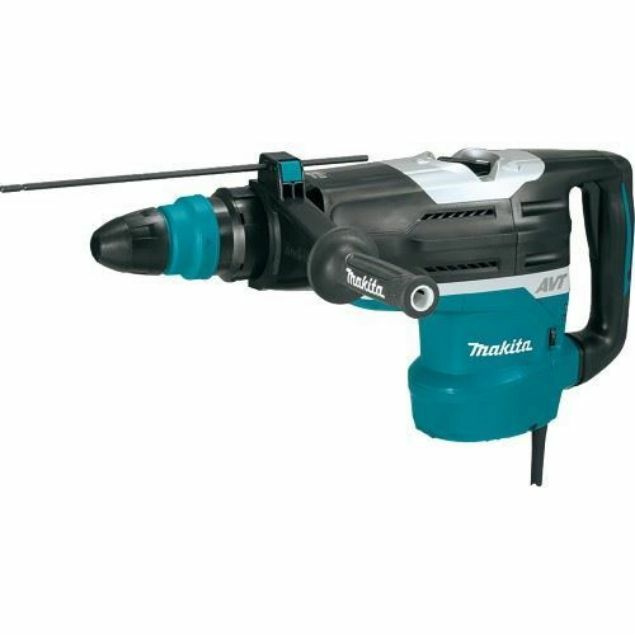 Makita-mt- series 5kg class 17mm hex shank chipping hammer. Double Insulation, Hex Shank and Carrying Case.